One of the Law Center’s central tenets is to address not only the consequences of homelessness but also its underlying causes. Like many advocates, we proceed from the understanding that housing insecurity doesn’t arise in a vacuum but, rather, stems from conscious decisions, priorities, and prejudices on the part of policymakers. Under this premise, homelessness is less an inevitable social ill than the result of avoidable errors. One such error is the tendency, particularly pronounced at the moment, to erect barriers to economic support for low-income individuals as an immediate cost-saving strategy, without regard for the long-term costs of widespread poverty. For many military veterans unable to maintain employment as a result of service-related injuries, disability compensation from the Department of Veterans Affairs (VA) serves as a vital source of income security and a bulwark against poverty and homelessness, a condition that claims 107,000 veterans on any given night. 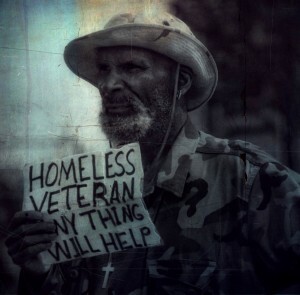 Studies have long pointed to income support as among the most important distinguishing factors between domiciled and homeless veterans; an especially strong link has been found to exist between increased public benefits and successful housing outcomes for those with mental illness. Despite this correlation, access to VA benefits has long been systematically obstructed for millions of veterans desperately in need of support. Under current law, veterans must prove by documentary evidence not only that they are disabled but also that their disabilities stem directly from military service, a labor-intensive process that routinely lasts for years. While this system imposes a toll on all claimants, its burden falls with particular weight on those with post-traumatic stress disorder (PTSD). Deeming its symptoms “relatively easy to fabricate,” the VA Clinician’s Guide directs examiners to marshal elaborate documentation of behavioral changes from pre- to post-service status. In recent years, a number of advocacy groups have sued the VA in federal court, arguing that the agency’s failure to issue timely claims decisions violates the constitutional due process rights of veterans with PTSD. After failing to obtain relief at the trial level, the groups appealed to the 9th U.S. Circuit Court of Appeals, where not long ago they achieved a stunning victory. While the VA has petitioned the Court of Appeals for a rehearing of the case (previously argued before a three-judge panel) before the full bench, its outcome won’t alter the underlying fact that the government has an obligation to stem the tide of homelessness that threatens to engulf more and more men and women in uniform as they return home from serving their country. When it comes to honoring our veterans, parades and ribbons are simply not enough. This entry was posted in Veterans and tagged domestic policy, homelessness, veterans. Bookmark the permalink.